Integrate all your data for small businesses on premises or on cloud through Enterprise resource planning software. It manages all your business operation from accounting and CRM to supply chain management and purchasing. Choosing right ERP software for your business helps in gaining clear visibility of the management and accelerates profitability. The company’s bottom line is it’s productivity and ERP software is perhaps the best solution for you in order to streamline the production and efficiency, if you are a small businessman. If you can access all the information at once, it will save your time and along with that, you can take immediate decisions to improve business operations and management. ERP increases efficiency and productivity by helping users navigate complex processes, preventing data re-entry, and improving functions such as production, order completion and delivery. Streamlined, efficient processes throughout. ERP Software is really helpful for small businesses in the UAE because the management can streamline the data flow with the help of this system. Fast-growing businesses have to streamline the operations immediately as the departmentalization can create issues in operations if the data is not in proper flow and it can only be done through a computerized system. This means you can integrate platforms like your CRM software with the ERP system, keeping data consistent, accurate, and unique. Know your customer, their orders, and your inventory, all in one place. ERP software helps you developing collaboration among different departments of the organization. Poor communication can be a big hurdle in business processes and ERP software resolves this issue through automation. Messages are conveyed properly and through approved channels. Small businesses need cost-cutting methods to manage the operational cost. For that, ERP software helps small businesses a lot by streamlining the data. Single software can manage all the departments simultaneously and without it, you will have to spend time and face additional operational costs. As data is easily available in ERP Software and you are consistently updating the records, small businesses find it easier to take the decisions without wasting time. You can take immediate decisions, improve your policies in order to achieve your goals within set time period. 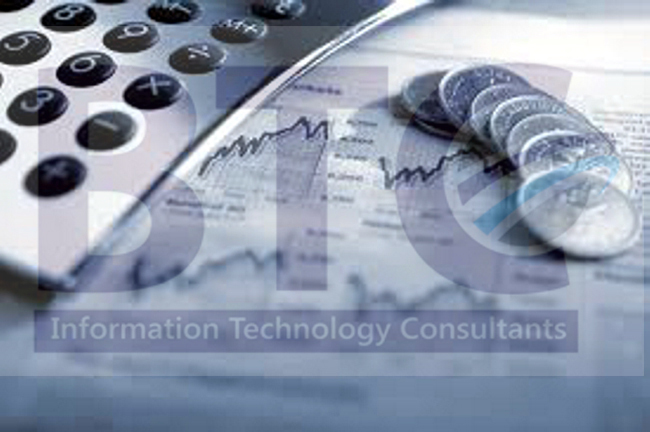 Get the best ERP solution for your business with us.